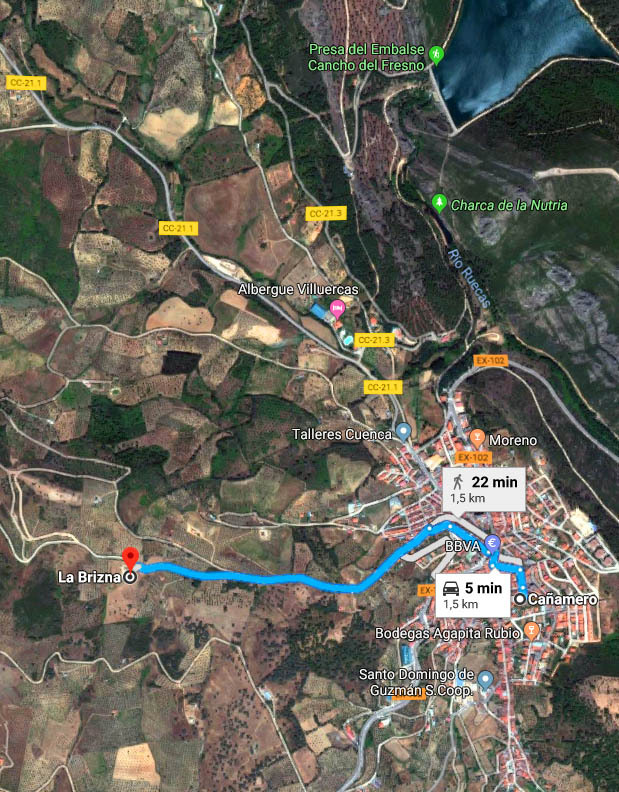 Situated in the rural location of Umbria Barco in Cañamero (caceres), within the Villuercas – Ibores – Jara Geopark. Here, your vision will be stolen away in admiration for the surrounding high grounds and valleys. We have declared war on stress at La Brizna-we serve breakfast in your habitation until 12:00 midday. You can also select the option to check-out late, making the most of your stay to the very last minute. When you cross the threshhold of your dwelling, a basket of hand made soaps and a small aperitif of seasonal fruits (home grown on the estate) to welcome you. Savor them while you discover the creature comforts such as; plasma TV, mini bar, air conditioning with climatization… This will be the beginning to a wonderful experience at La Brinza.